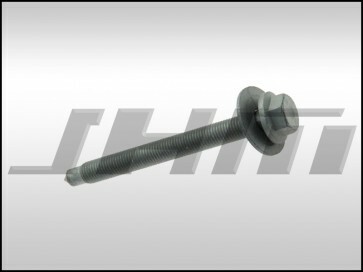 This is a brand new bolt for the subframe for your B6-B7 chassis Audi A4, S4, or RS4. This bolt is an M12 x 1.5mm pitch x 120mm length bolt. There are 4 of these bolts required per car. 2 of these bolts secure the front subframe to the body of the car and 2 bolts go through the transmission cross-member into the body of the car. The OEM part number for this piece is N90956803 or N 909 568 03.